The boutique Colleen flat bed sheet is now reduced to clear. The Liddell Colleen Flat Bed Sheet is part of our Liddell Boutique collection of bed linen. Perfect if you are looking to bring five-star luxury to your hospitality establishment or private residence. 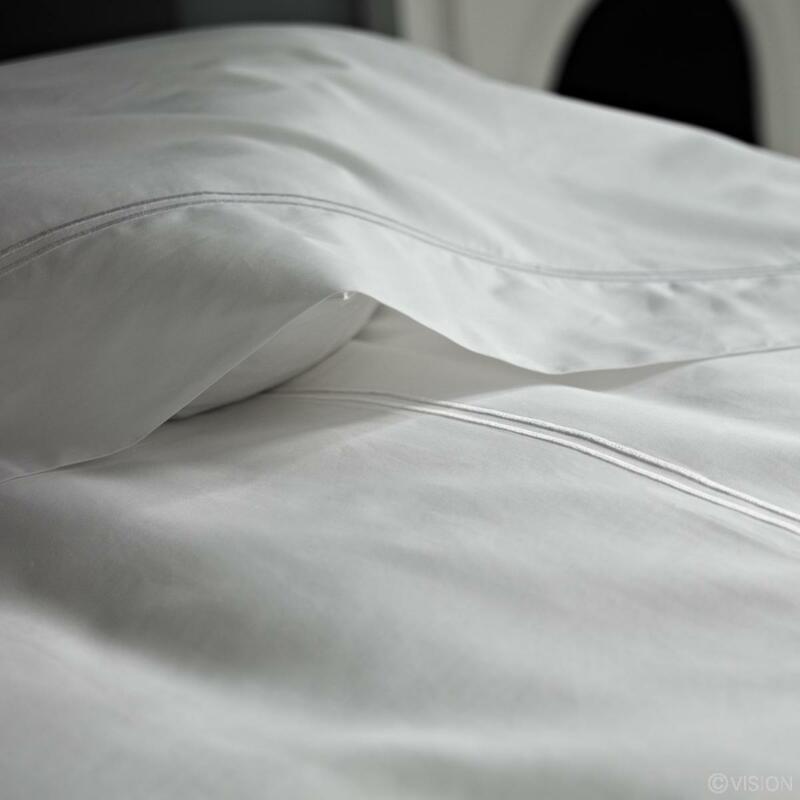 Slip into the crisp white silky pure cotton sheets and wake up feeling perfectly refreshed. The Liddell Colleen collection features marrowing stitch detail on the 100% cotton, 300 thread count, plain white sateen bed linen. Note: Supplied in wholesale packaging.